It is argued that Terra Australis Incognita, the ‘imaginary’ southern continent which appears on virtually all early maps of the world, was a real continent that matches Plato’s mythical Atlantis in many respects. Maps showing three different forms of Terra Australis suggest a continent of which the central plain was gradually being flooded before it ultimately disappeared under the water. The submarine topography of New Zealand closely matches one of these maps and ancient legends of South America suggest that disappearance of the continent was caused by the impact of a comet. It is argued that Antarctica must have been ice free up to 12,000 years ago, when the impact of a comet caused a tsunami which nearly caused the extinction of mankind, the tsunami having been recorded in the Bible as the Great Flood. Plato, in his dialogues Timaeus and Critias1, relates the legend of a powerful nation that around 9500 BCE inhabited a continent greater in size than ancient Libya and Asia combined. This nation attacked and conquered Europe and Asia, with only the Greeks being able to prevail against them. Sometime after the invasion, however, the Greeks and the Atlanteans were ‘swallowed up’ by the sea in a single grievous day and night. The continent, which lay beyond the Pillars of Hercules, is described as having had a central, “rectangular and oblong” shaped plain with a 3:2 length-to-width ratio, surrounded by mountains but with an opening to the sea. A mountain that was “low on all sides” ran through the centre of the plain.Atlantis had ten states or provinces, each with its own king and capital city. The fabulous royal city of Atlantis was surrounded by circles of sea over which bridges had been built.The royal city of Atlantis alone had a standing army of what based on calculations must have been close to 1 million soldiers and a fleet of 1200 warships2. The capital cities of the other states had armies of varying sizes, with a total population of between 64 and 100 million people 3. As Plato appears to be the only source of information on Atlantis, many scholars doubt the authenticity of his reports, or in other words, Atlantis is nothing more than a myth. If, however, Plato’s account is based on a real continent that once existed, but sank below the ocean in a single day, there simply has to be other evidence suggesting its existence. What we would be looking for is evidence in the form of ancient maps, the first choice, and then also in ancient legends, archaeology and, with any luck, modern geography. Many early world maps have one oddity in common, namely a vast southern continent generally called Terra Australis Incognita (The Unknown Land in the South). During the middle ages there appears to have been a widespread belief that this continent not only existed, but that it used to be home to a people who must have dominated the world4. This belief gradually diminished and was discarded altogether following James Cook’s second voyage from 1772-1775 CE5. One would be tempted to conclude that Aristotle is here implying that Plato’s Atlantis, which “lay beyond the Pillars of Hercules” and which Aristotle would have been familiar with, was indeed the southern continent! Did Plato have additional information to this effect, not recorded in his dialogues? Later cartographers like Mercator used the argument that the landmasses in the northern hemisphere had to be balanced by similar landmasses in the south7. Mercator admitted having based some aspects of his maps on the work of earlier cartographers and as such it is still conceivable that the southern continent could have been no more than a figment of their imagination. However, a closer look at other shapes of this vast continent suggests that this continent was anything but imaginary. Although most depictions of Terra Australis show a vast, continuous landmass, two other maps show a ring-shaped continent and a C-shaped continent, respectively. Figure 1 shows the azimuthal map projections by Schöner (his 1533 globe)8, the so-called Vatican Map9 and Schöner’s 1515 gores globe10, here transformed into a continuous map. The creator of the Vatican map is unknown and despites its name (Terra Incognita), it contains numerous place-names. This suggests that the southern continent was not as unknown as an entirely fictitious map would demand. By implication also, if Terra Australis Incognita did exist, an event of unimaginable proportions must have caused it to sink to about 4000 to 6000 m below sea level. Henceforth a depth of 4000 m will be used as reference. These three presentations clearly show a continent with a central plain which has become flooded (see Figure 2). There is simply no other interpretation. It is almost impossible that these three correlated shapes could otherwise have been ‘imagined’ independently of the others. Could this continent have been Atlantis? In the first instance, Terra Australis is the only documented record of a vast continent which has disappeared under the ocean (is no longer visible today). Secondly, the shape of the continent matches the broad description given by Plato. We have a vast central plain which is surrounded by what appears to be mountain ranges, with an opening to the sea (Schöner’s 1515 globe). The shape of the plain is oblong and has a length-to-width ratio of 3:2 as described by Plato (Figure 3, shape will be slightly different on the actual earth). One can also visualize that the ‘circles’ of sea mentioned by Plato most likely refers to the encroaching sea meandering across the plain and systematically encircling all the high lying areas. The flooding of the plain would explain why the otherwise peaceful Atlanteans resolved to attack Europe and Asia – their homeland was steadily being swallowed up by the sea. They simply had to find an alternative place to live. The next question is whether this continent, or at least parts of it, can be identified on the ocean floor, where the continent must have sunk to. Comparing the last form of Terra Australis (the C-shaped map) to a NASA bathymetry image11 of the South Pole, one is immediately struck by the close correlation between Australia and sub-marine New Zealand and the end points of the C-shaped Terra Australis (Figure 4). Also evident from the NASA bathymetry map is the high-lying sub-marine region, called Regio Patalis on some maps of Terra Australis (e.g. Schöner’s 1533 globe) which connects Australia and New Zealand. If the entire region had once been above sea level, it would match the ring-shaped continent (Vatican map) shown in Figure 1. The correlation between the C-shaped map of Terra Australis and actual geography does not end here.A huge lake is shown in the middle of the Australian end of the C-shaped Terra Australis, but no such lake exists in Australia today. In order to establish whether such a lake might have existed had Terra Australis received sufficient rainfall, I digitally filled up the low-lying region on the NASA topography map of Australia 12 (overlaid onto a Geoscience Australia bathymetry map 13), which, as shown in Figure 5, resulted in a huge lake corresponding in size and location of the Terra Australis lake (Figure 6). The Geoscience map is plotted in Lambert conical conformal projection, whereas the NASA topography map is in Mercator projection. The dark blue areas in Figure 6 are not covered in the original Geoscience map, which was converted to Mercator projection. Returning to Figure 6, even the mountain ranges agree relatively well (Figure 7). The lake on Schöner’s 1515 map is incidentally inscribed as “the lake in the mountains”, which would only make sense if the entire region surrounding the lake was considered to be part of a mountain range. This would have been the case if the inhabited central plateau on the medieval maps had been 4000 m above its present level. In other words, before Atlantis ‘sank beneath the ocean’, Australia would have been more than 4000 m higher than it is today. Figure 6. Digitally filled lake which would exist should Australia receive continuous, pouring rain. The digitally created lake overflows in Australia’s Spencer Gulf and the sub-marine canyons on the edge of the continental shelf plunge to the ocean floor 4000 m below sea level.The reason for choosing this particular seabed profile (the Geoscience map) is the high resolution in which it is presented, as shown in Figure 8. The most prominent feature of the graded slope between the Australian continent and the ocean floor 4000 to 6000 m below is the presence of numerous submarine canyons. The canyons at the mouth of the Spencer Gulf canyon (region A) are more concentrated and significantly deeper than those further away to the sides (regions B and C), suggesting the presence of a sloped waterfall of incredible proportions. The colour altitude scale of the map is somewhat misleading - the slope is about 4 km (drop) over a range of 40 km to more than 100 km. Figure 9 shows a 3D bathymetric view of western Australia, emphasizing the steep continental slopes. Other areas of the continental shelf display similar canyons, as can be seen on the insert in Figure 8 - this represents the top left corner of Figure 6. Plato described Atlantis as having numerous lakes and rivers in the mountains and that a ditch or canal had to be dug around (parts of) the plain to receive the streams coming down the mountain, to channel the water to the sea. One can imagine the streams that would have been running down these steep slopes, had the region been exposed to intense and continuous rainfall. 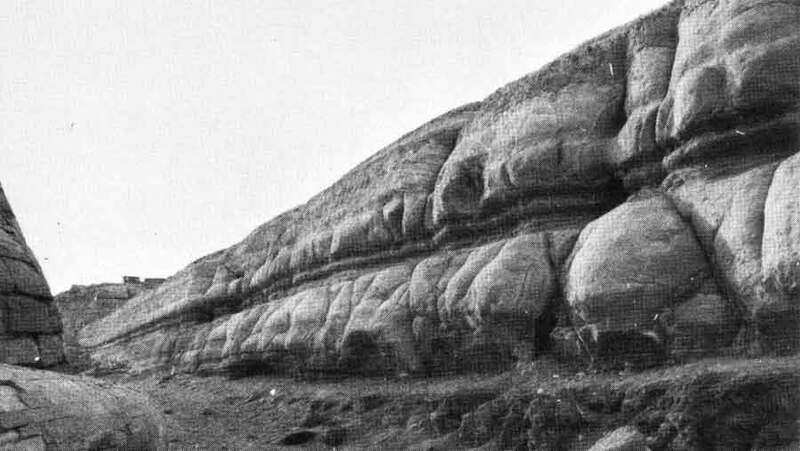 This theory appears to have been developed due to the absence of a mechanism other than conventional river flow to explain how these canyons were formed 17,18, and is depicted in Figure 10. There is no question that turbidity currents do appear in nature, but it is unlikely that these currents would have been able to carve the immense sub-marine canyons on the Australian continental shelf. As an example, a sub-marine canyon runs down New Zealand’s Bounty Trough (Figure 11), and this canyon was supposedly also carved by turbidity currents. The canyon is about 900 km long and ends at a depth of about 7 km. This gives an average slope of only 0.4ö, and we are expected to accept that the turbidite deposits kept on rolling and carving into the ocean floor for 900 km, amid ocean cross currents.The turbidity currents will lose speed as the depth increases and the heavier, abrasive particles will be deposited near the continental shelf. Other forms of sedimentary erosion of the canyon must certainly be equally unlikely. The only logical explanation is that this canyon must have been formed by a river cutting through the rock of the Bounty Trough. In other words, it must have been above sea level. An even better example disproving the theory that turbidity currents formed the submarine canyons all around the world is given by the Agadir canyon on the west coast of Africa, as shown in Figure 12. Here it is assumed that turbidity currents not only formed this majestic canyon, but that it also continued to ‘’flow’ across hundreds of kilometres of ocean floor of which the gradient is a fraction of a degree. When I proposed my Terra-Australis-was-Atlantis theory on related forums, I was quickly asked whether I really believe that all submarine canyons around the world must have been above sea level at the time of the impact, which of course would not have been the case, and I had no answer. In my theory I propose that the crust of the earth around Antarctica must have been at least 4000 m higher before the impact of a comet forced it downward underneath the sea. Apart from the associated flood, the rest of the world would not have suffered similar consequences. So, if I reject the turbidity current theory (in my opinion it is absurd in the case of the Bounty Trough and even more so in the case of the Agadir Canyon, where turbidity currents are supposed to have carried landslide debris underwater over the ocean floor for close to 1800 km, at an average slope of less than 0.01ö), but cannot explain how submarine canyons elsewhere were formed, does it automatically dismiss my Terra Australis theory? I simply had no answer until it eventually dawned on me that the answer may indeed be that all submarine canyons around the world were once above sea level, or at least, sea level as we understand it today. That time would have been when the surface of the earth was still too hot for any water to accumulate on its lower surfaces. All the water of the ocean would effectively have existed in the atmosphere, in a billion-year-long cycle of water vapour condensing in the upper atmosphere, falling down to the continents in the form of rain, running down the edges of the continental shelves and cutting deep canyons in it, and being evaporated again when it reaches the terrifically hot ocean floor (see Figure 13). This would have continued until the crust of the earth had cooled down enough for the oceans to begin forming. In the end most of the water in the atmosphere condensed and the oceans were flooded, covering the canyons cut into the continental shelves hundreds of millions of years earlier, and leaving on the ocean floor billions upon billions of tons of sand. As I am not a geologist, I would much appreciate the opinion of experts in the field of submarine geology on this new hypothesis. Has it ever been considered or proposed elsewhere as the forming agent of submarine canyons around the world? If not, how would they explain the formation of the Bounty Trough and Agadir submarine canyons, where turbidity currents very clearly could not have formed them, but only free-running water? That the southern region of the earth was indeed more than 4000 m higher sometime in the recent past, and by implication that maps of this region must have existed, is suggested by the 1570 world maps of Ortelius21 and Mercator (1569)22, which both show a curious bulge of the western coast of South America. As shown in Figure 14, there is a matching ‘bulge’ on the ocean floor. What on earth would have possessed Mercator to draw this curious shape, unless he had access to ancient maps depicting the region before it ‘sank’? According to Plato, Atlantis disappeared under the waters of the ocean within a single day. Is it possible for a continent to sink 4 km below sea level in one day? There are probably only two possibilities – either an impact by a huge comet or asteroid, or continental drift resulting in a sudden movement of overlapping continental shelves. Either way, the result would have been a massive tsunami, which no doubt was the Great Flood as recorded in the Bible 23 and in numerous similar but entirely independent legends in other cultures24,25. The biblical26 and other27 creation myths must surely be based on the aftermath of the comet impact and the Great Flood, which respectively caused darkness over the entire planet and left mud everywhere after the flood waters had receded.This flood would have wiped out almost all forms of life on earth, including the Greeks in their low-lying country. According to the Bible, God warned Noah about the impending flood and Noah obediently built an Ark as instructed. Torrential rain that lasted for 40 days brought the flood and only Noah and his family survived. The fact that Noah was ‘warned’ precludes a flood caused by tectonic movement, as there is no way of knowing when a slip between two continental plates will occur. On the other hand, one can clearly see a comet approaching if it is close enough. It may also have been observed long before and depending on how long the Atlantean civilization had existed, it is possible that they may have been able to calculate the most likely time of impact, like we can do today. The stories of the Teutonic tribes of Scandinavia are vivid and describe terrifying events. The imagery of these legends emphasizes the size of the cataclysm. One such tale portrays the chaos of the world when the mighty wolf Fenrir shook himself and "made the whole world tremble. The aged ash tree Yggdrasil [envisaged as the axis of the earth] was shaken from its roots to its topmost branches. Mountains crumbled or split from top to bottom …". Men "were driven from their hearths and the human race was swept from the surface of the earth. The earth itself was beginning to lose its shape. Already the stars were coming adrift from the sky and falling into the gaping void. Flames spurted from fissures in the rocks everywhere there was the hissing of steam. All living things, all plant life, were blotted out. … And now all the rivers, all the seas rose and overflowed. From every side waves lashed against waves. They swelled and boiled and slowly covered all things. The earth sank beneath the sea". Then slowly the earth emerged from the waves. Mountains rose anew … . Men also reappeared. … Enclosed in the wood itself of the ash tree Yggdrasil … the ancestors of a future race of men had escaped death." The impact of a meteor or comet with Earth would have sent shock waves all over the planet, resulting in cracks in the crust of the Earth and boiling water when these cracks became flooded. Other legends also relate that the sky had moved, and the Scandinavian Flood Myth unequivocally states that the axis of the Earth had moved (i.e. the precession of the Earth was most likely caused by the impact). The falling stars match the South American legends in this respect, confirming that the Earth had been hit by a celestial object. Above all, this specific legend confirms that the earth and men only emerged from the waters after the impact (they had existed long before it occurred). In other words, the Creation occurred after Noah’s Flood, and not the other way around. The tail of a comet always points away from the sun28, and if a comet was approaching the earth 12000 years ago from the direction of the sun, its tail would have entered the atmosphere of the earth before the final impact. The tail of a comet can be hundreds of millions of kilometres long, so it is possible that the Atlanteans long observed the meteor shower which occurred when the tail began moving through the atmosphere of the earth.They realized that they had to leave their motherland, hence the numerous ‘Noah and the Ark’ legends. Only in boats and ships would they be safe, as the tsunami would form a giant wave in the middle of the ocean on which their ships would be able to survive. Only when the tsunami reached land would it have caused total destruction. If the earth had been struck by a comet big enough to have nearly extinguished all forms of life on earth, there must certainly be a crater or other evidence of such an impact. Furthermore, with Terra Australis having been identified as Atlantis, one would expect this impact to have occurred either on or near this continent. Figure 15 shows South America as depicted by Mercator and Ortelius, along with a WorldSat bathymetry image of South America 29. Immediately obvious is the fact that the narrow strait separating South America and Terra Australis on the maps has been replaced by a huge gap, the Drake Passage. Underneath the waters of the Drake Passage lies the Scotia Plate, a more detailed image of which is shown in Figure 16. The Scotia Plate appears to present the crater formed by a comet striking the earth at a low angle from the west, and the fractured continental blocks on the ocean floor suggest that it had penetrated through the crust of the earth. If this is true, one can understand how the crust of the earth could have been forced down by 4000 m or more. This would then explain how an entire continent could ‘sink’ below the waters of the ocean in an instant. The continent of Antarctica, which would have formed part of Terra Australis Incognita, lies high above sea level, which would seem to contradict that part of Terra Australis forming part of the central plain. However, it may simply have been an extremely high part of Terra Australis, or alternatively it may have been raised to its current altitude as a result of the impact. That a comet impact occurred near Southern America is suggest by geographical and archaeological anomalies like millions of fossilized sea shells littered around Lake Titicaca on the border of Peru and Bolivia, 3812 m above sea level30.Although Hancock argues that this area must have been below sea level before the cataclysm which led to the upheaval of the continent, a more likely scenario is that these shells and other evidence of marine life was the result of the massive splash when the comet ploughed into the ocean.It is interesting to note that some Creationists have been arguing that the Grand Canyon was formed by the Great Flood of the Bible. The impact of a comet at the Scotia Plate would have created a tsunami that would probably have been high enough to do just. It should be noted that the sea passage between South America and Terra Australis appears to have been known to mapmakers long before the discovery of a passage around the southern tip of South America by Magellan in 152031 (for instance on Schöner’s 1515 globe). According to tradition Magellan had only a partial drawing of the channel on his journey, having memorized the other part for fear of the map falling into Spanish hands (see Section 8). Another strange phenomenon we observe today is the fact that the magnetic North and South Poles are not co-located with the geographic North and South Poles.The magnetic poles are defined by a wandering point where the earth’s geomagnetic field lines are directed vertically upwards 32. The earth’s magnetic field lines are presumably formed over millions of years by the rotation of earth and the magnetization of the molten iron alloys in the Earth’s outer core33, but presumably also of the iron alloys in the mantle and crust. One would therefore expect the magnetic and geographic poles to align perfectly. However, the impact of the comet into the crust and upper mantle of the earth, which ‘floats’ on the outer core, could easily have resulted in the crust moving relative to the outer core. The wandering effect of the magnetic North and South Poles may be seen as the steady re-alignment of the earth’s magnetic field with its geometrical axis. It is also interesting to note that the North Magnetic Pole is estimated be located at82.7öN 114.4öW and the South Magnetic Pole at 64.5öS 137.9öE34. The North Magnetic Pole therefore is about 812 km removed from the geographical North Pole, while the South Magnetic Pole is a massive 2838 km from the geometric South Pole. Assuming that the South Magnetic Pole was located at the geometrical South Pole before the impact, an impact at the Scotia Plate seems to have moved the crust and therefore the magnetic poles in the direction and to the position shown in Figure 17. The entire crust would have rotated in that direction and this appears to be confirmed by the direction of movement of the North Magnetic Pole. The fact that the North Magnetic Pole moved a significantly smaller distance can probably be explained by the likelihood that the continental plates in the south would have moved relative to each other much more than in the north.For all we know the slow wobbling of the earth around its axis every 26000 years, a process known as precession 35, may also have been caused by this impact. It must certainly be more than coincidence that the earth’s precession angle (Figure 18) is 23.5ö corresponding to a latitude of 66.5ö, very close to the South Pole latitude of 64.5ö. Either way, the ancients remembered that the relative position of the stars had changed after the flood 36, which would confirm a change in the orientation of the earth relative to the stars. It should be noted that the movement of the crust and magnetic poles to its present position would not have been instantaneous. Instead, the impact would have caused an initial impetus in that direction and the continental shelves would eventually have come to rest in the present location. Scientific proof that an impact of this nature may indeed have occurred is presented by a close-up inspection of the mid-ocean ridge west of South America (see Figure 18b). The ridge itself must be tens of millions of years old and may, in fact, have been caused by the comet impact that brought an end to the dinosaur era. However, as indicated in red, the continental plate in that region clearly shows cracks indicating an abrupt movement in an eastern direction (cf. Figure 14). This accords with an eastward impact at the Scotia plate as argued above. The mid-ocean ridge would have been above sea level before the impact, but was forced down to its present depth by the comet impact. Probably the most important objection to my theory that Terra Australis was Atlantis must certainly be the results of ice core dating, specifically of the Antarctic ice sheet. The ice sheet has an average depth of about 2160 m and a maximum depth of about 4776 m38. Ice core data from Antarctica suggest that the ice sheet may be up to 800,000 years old39. Antarctica would have formed part of Terra Australis and an 800,000 year old ice sheet must contain a huge layer of the debris from the impact of the comet. If it does not, there are only two possible explanations, namely that Antarctica was never inhabited and a comet impact had never occurred, or that the ice core dating method is completely inaccurate and by implication that the ice sheet only developed after the impact. To my knowledge none of the ice core samples taken from Antarctica show any signs of a cataclysmic event around 12,000 years ago, and I do not have the scientific background to challenge any of these results. All I really can do is to present circumstantial evidence that a major natural catastrophe must have occurred around 12,000 years ago and that its extent would have been so enormous that it must be visible in ice core data. Apart from these geographical anomalies pointed out above, ancient legends from South America include numerous reports that sky had fallen, that the sea was boiling and the sole survivor of the human race, like the biblical Noah, had to hide from the fire in a cave40. The falling sky must certainly be the approaching tail of the comet entering the earth’s atmosphere, and the fire seen by the sole survivor of the human race must have been fires lit by the associated meteorites. That the sea was boiling most likely refers to the impact crater at the bottom of the sea, where lava would have become directly exposed to sea water. Large meteorites falling into the sea would have had a similar but much smaller effect. Had a comet indeed hit the earth at the Scotia plate as argued here, the entire earth would have been covered in darkness for a significant period of time, causing a severe drop in temperature everywhere and specifically around the polar regions. It is impossible to tell how long the dust particles in the atmosphere would have blocked out the sun before it gradually began to let sunlight through. In the Antarctic region, where the sea ‘boiled’ according to South American legends, this constant supply of water vapour, accompanied by the extreme cold, would have cause the ice cap of Antarctica to grow very rapidly. Could this not be an alternative mechanism by which the polar ice caps were formed? While searching for information about ice core dating methods, I soon came across and ordered a copy of a book called The Frozen Record by Michael Oard41, which provides an excellent introduction to the novice about the majority of issues at stake in ice core data interpretation. Even though written from biblical Flood perspective, Oard lists and discusses most of the theories pertinent to ice core dating methods and is therefore a must-have for those who are not familiar with this scientific field, but wish to learn more. A response to the arguments presented by Oard can be found here, with Oard's subsequent responses here and here. While paging through this book, I noticed the bedrock elevation map of Antarctica 42,43 as shown in Figure 19(a) below. What struck me was the similarity between the rather peculiar coastal outline of the Schöner 1515 map in the region of Antarctica as encircled in red in Figure 19(b), and the encircled area in Figure 19(a). Figure 19(c) shows the Schöner map transposed onto the bedrock map of Figure 19(a). Could this be pure coincidence, or did Schöner extract this part of his map from an older map? It should be noted that the age of the ice caps has been question by Creationists 44,45, who attempt to prove that the earth could have been created less than 10,00 years ago. This is definitely not my objective. Figure 20 shows a possible outline of what Terra Australis may have looked like if it had indeed been a real and not imaginary continent (there is indeed a mid-ocean ridge or mountain which is “low on all sides”, running through the centre of the plain). However, as Antarctica is the highest continent in the world, one would expect Antarctica to stand out on the maps of Terra Australis Incognita, implying that Schöner’s 1515 map needs to be modified somewhat to coincide with the present location of the high lying Antarctica. Conversely, as hypothesized earlier, the Antarctica subcontinent may have been raised to its present altitude by the impact of the comet. That a cataclysmic event had most likely occurred thousands of years ago is possibly attested to by the end of the Younger Dryas period46, also called The Big Freeze, which lasted from approximately 10,800 to 9,500 BCE. The onset of this period corresponds closely with Solon’s account of the sinking of Atlantis, which he dated to 9,500 BCE. These conclusions are based on eroding fragments of lake sediments found in the heart of the Sahara that contain the skeletons of fish and crocodile bones. Figure 21 (top, Mercator’s 1569 map) shows two huge lakes and numerous rivers in the middle of the Sahara desert. One of NASA satellite images of the Sahara desert (centre) shows what appears to be a lake corresponding to Mercator’s eastern lake (encircled), while it is absent on another (bottom). The lake on the centre map may have been due to flash rains or floods in the area (can anyone comment? ), but it should be noted that there is a permanent group of lakes north west to the encircled lake, albeit smaller in size. This group of lakes, called the lakes of Ounianga in Chad, are sustained by underground aquifers and not rainfall. The lakes formed part of a much larger lake that existed during the “Green Sahara” period, estimated to have existed from 7500 – 3000 BCE. The other lake on Mercator’s map is shown enlarged in Figure 22. This lake would have disappeared probably around 3000 BCE at the latest (5,000 years ago), if not millennia earlier. Mercator’s map is astonishingly accurate not only in terms of the location and relative size of the lake, but also the location of the rivers that fed it (coloured blue by me). All that remains today are dry riverbeds. Where did he get his information from? He most certainly must have had access to ancient maps. Who were these mapmakers? Neolithic humans who had only just mastered stone tools? These mapmakers would have possessed a method to record latitude and longitude, otherwise it would have been near impossible to map an entire continent. It should be noted that Ortelius also shows lakes in the Sahara desert on his maps, in more or less the same locations. On his world map of 1570 there are only two main lakes, (Figure 23, top), while his more detailed map of Africa (Figure 23, bottom), shows many more lakes and rivers in the Sahara desert, as may be expected for the Green Sahara period. Where did he obtain this information from? Pure guesswork? From the discussion presented so far, it is evident that a civilization must once have existed, who had the ability to map the world, long before we were able to do so. It will next be demonstrated that many of the discoveries of the New World, by explorers like Christopher Columbus (the Americas in 1492-1500), were not discoveries in the sense that these explorers had no idea of what they may find, but rather that they had existing maps, though probably ancient and relatively inaccurate, to guide them. In other words, they went looking for these continents and islands. Possibly the clearest indication that “all is not well” with the arbitrary, completely-by-chance discovery of several islands in at least the Atlantic ocean, is the discovery of the islands St Helena, Trinstan du Cunha and Trinidad (off the coast of Brazil). Before delving into the history of these discoveries, we must first take a look at the practicalities of the early exploration of the oceans, particularly during the early 1500s. The typical ship of that time would have had masts with a crow’s nest at a height of about 16 to 20 m above sea level (like Christopher’s Columbus’ Santa Maria). One then needs to determine how far a person with good eyesight would be able to spot an island beyond the horizon, a problem similar to the modern concept of a ‘radar’ horizon, or line-of-sight detection. The geometry of the problem is shown in Figure 24. Here we have a sailing ship with an observer point Ho meters above sea level, trying to spot a target (island) of height Ht meters above sea leavel. The distances Do and Dt, in kilometres, are given by the equations shown in Figure 23. For a sailing ship like the Santa Maria, Ho=16 m and Ht=800 m for St Helena island 48. On a perfectly clear day, with the sea perfectly level, a look-out on the Santa Maria would therefore only just be able to spot the island at a distance of 115 km. In practice the tip of the island would have to extend several meters above the horizon to be spotted. 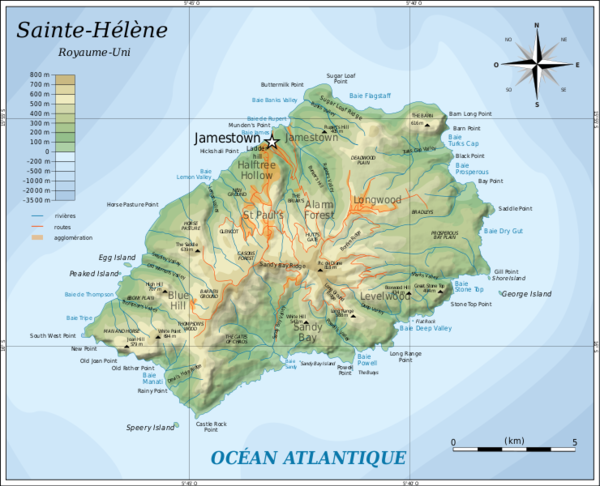 Nevertheless, the Santa Maria would have had to sail past the island within a range of 115 km or less, otherwise it would never be able to spot St Helena island. St Helena was discovered by Portuguese explorers around 1502 49, and the shortest distant to Africa (the Namibian / Angolan west coast) is about 1890 km. This means that 8 sailing ships sailing side by side at a spacing of 2x115=260 km, the first ship 115 km off the coast of Africa, would only just be able to spot St Helena (the furthest one). How easily would the island have been spotted, given that it could only be observed during 12 hours of a 24 hour day (actually less, as visibility is reduced during dusk and dawn), and that rain or mist or any haziness on the horizon would drastically reduce the line of sight? And the look-out would have had to be fully alert all the time, constantly scanning at least the forward 180ö sector. The same applies to the discovery of the island Tristan da Cuna 50 in 1506 (sighted only), by the Portuguese explorer Tristöo da Cunha51. Da Cunha was appointed commander of a fleet of 15 ships sent to the east coast of Africa, on a mission to conquer Socotra and build a fortress there, hoping to close trade in the Red Sea. Tristan du Cunha rises 2062 m above sea level52, and if da Cunha’s ship had a look-out point 20 m above sea level, the tip of the island would become visible at a distance of 178 km. The shortest distance between Tristan da Cunha and the African coast is about 2750 km. Figure 25 shows the most likely route da Cunha would have taken to reach Socotra, Given his specific mission and instructions, why would he have veered so far off course into the unknown, unless to go looking for an island he believed to exist and hoped to find? Purely by chance? Would he not have stayed relatively close to the African coast all the way? Finally, we now take a look at the anomaly associated with the discovery of the islands off the east coast of Brazil. On Mercator’s map a series of four islands or island groups are shown, extending well far into the Atlantic ocean (indicated by B to E on the maps in Figure 26). These islands are called Ascension, Trinidad, Santa Maria and Minuaes, respectively (see also Ortelius’ 1570 world map). However, today only one of these ‘islands’ actually appears above sea level, namely the archipelago of Trindade and Martim Vaz (E on the maps). This group of islands was discovered by Estövöo da Gama in 1502. The other ‘islands’ are in fact underwater seamounts, with peaks well below the surface, B = Montague Seamount (58m) / Jaseur Seamount (11m), C = Vitöria-Trindade Seamounts (33m) and D=Columbia Seamount (?). From the post-glacial sea level rise graph of Figure 3(a) in my Ancient Enigmas and Anomalies section, it becomes evident that these seamounts would only have been visible above sea level around 8000 BCE or earlier. In other words, it would seem that they had been mapped by ancient mariners at that time, and that some of those maps must have survived up to medieval times. Apart from the above examples, there is some anecdotal evidence also suggesting that the early explorers had maps they used as guidance before they departed on their journeys. For instance, Ferdinand Magellan's name has been immortalized through his 1520 discovery of the strait that bears his name (Figure 27). Magellan was accompanied by an Italian writer Antonio Pigafetta, who recorded that Magellan had in his possession a partial drawing of the channel even before they 'discovered' it (Schöner’s 1515 globe? ), and that he had memorized the other part for fear of being killed in a mutiny and the channel being discovered by his Spanish officers53. Magellan evidently had also admitted earlier that he had seen the passage on a map drawn by Martin Behaim. Pigafetta's account has never been accepted in academic circles as it did not make sense. It would, of course, make sense if ancient maps predating the discovery did in fact exist. Furthermore, Piri Reis notes on his 1513 map (Figure 28) that he had made use of about twenty charts and maps of the world, which included eight Ptolemaic maps, an Arabic map of India, four newly drawn Portuguese maps from Sindh, Pakistan and a map by Christopher Columbus of the western lands 54. Incidentally, on this map Terra Australis is shown as contiguous with the South American continent. One must ask oneself how it was possible for maps of the world to be disseminated to all and sundry so quickly after the discovery and mapping of new lands, particularly when such information would have been closely guarded by the specific explorers. Does this not suggest that more ancient maps must have been around at the beginning of the 16th century? The Piri Reis map does not appear to show the Brazilian off-shore islands discussed above, suggesting that he did not have access to those particular Portuguese maps. Mercator's map of the arctic appeared first as a vignette in his 1569 world map. An enlarged version was published posthumously by his son in the third and final part of his atlas, the first publication to be so named. The arctic had yet to be explored at the time Mercator created his map and is, therefore, based upon commonly held beliefs about the region55. Could these “beliefs” have been based on earlier, distorted maps of the region? To see if this may have been the case, I first mapped Mercator’s version of the arctic region (Figure 29, left) onto a NASA bathymetry map of the region (Figure 29, centre), and then transposed Mercator’s coastal outlines to coincide with actual coastal outlines (Figure 29, right). Virtually all the medieval maps of the Arctic region depict Greenland as free of ice. In order to see if there might be a correlation between Mercator’s transposed map of Greenland and an ice free Greenland, the latter has to be compared to a bedrock elevation map of Greenland. This is done in Figure 30, which shows an arguably marked correlation between the two maps. If true, it would prove, like the ice free maps of Terra Australis, not only that an ancient, prehistoric map-making civilization once existed, but also that the ice core dating technique is fundamentally flawed, or at least, the interpretation of the ice core data. If Atlantis had indeed existed as argued above, the question that remains is who exactly they were, and if any trace of the Plato’s surviving Atlanteans can be found. Since Atlantis itself has reportedly been swallowed up by the ocean, the next place to look for evidence of “Atlanteans” would be ancient Egypt, where according to legend the Atlanteans had settled. Egyptian mythology dates back to the gods who ruled Egypt at the beginning of time - Ra, who ruled all parts of the created world, the gods Osiris and his wife Isis, and several other deities57,58. According to Tacitus 59, the Jews flourished in Egypt under Isis, but were later driven from Egypt to adjacent countries. If this is true (why else would such a ridiculous legend have come into existence? ), then chances are good that these “gods” would have been the Atlanteans who had settled in Egypt – those who perceived them as gods would have been the native Egyptian population. In the last chapter of my book Thera and the Exodus I present a link between Abraham, the father of the Israelites, and the race referred to as the Giants, the Watchers and also the Nehphilim. It can be shown that Abraham, as ab-Ra-‘am, can be translated as father-Ra-of-the-people, or in other words, Abraham is synonymous with the Egyptian god Ra. This hypothesis is strengthened by a curious inscription on the 1593 De Jode map of Terra Australis Incognita60 (Figure 31). It reads “Chasdia, called by others Tierra del Fuego”. Thanks to the miracle of the Internet, it was not hard to find a connection to Chasdia. Abraham came from the city Ur of the Chasdim 61. The land of the Chasdim was also called Chasdia or Chusdia and significantly, according to Berosus, the land was governed by ten kings before the Flood62. Bryant goes to great lengths to dispute this claim, but it matches the ten kings who ruled Atlantis according to Plato, and the De Jode map places Chasdia in Terra Australis Incognita. The ten kings of Atlantis also ruled Egypt and certain parts of Europe according to Plato, and their rule must have included the land of the Chaldeans. In other words, Abraham is linked unequivocally to the Atlanteans, and through the De Jode map to Terra Australis Incognita. It should be noted that this particular naming of Terra Australis (as Chasdia) appears to have originated from the French Arabic scholar Guillaume Postel, who named the continents of after the sons of Noah. Terra Australis was named Chasdia after the son of Cham (Africa), “For in that part of the coastline that has been discovered, men were seen of great blackness.” 63 However, the fact both Chasdia and Atlantis were ruled by ten kings cannot be pure coincidence – there must be some ancient link between the two accounts. Incidentally, one region of Terra Australis is called Regio Patalis (Figure 1, Schöner’s 1533 globe).The language used on most of the ancient maps appears to be Latin, and the Latin word ‘patalis’ means ‘broad-horned’, typically used in conjunction with the word ‘bos’, meaningox or bull64. Regio Patalis was therefore the region of the broad-horn bulls, probably referring to cattle in general. Atlantis was known for its bull-worship, a form of religion that had also manifested itself in ancient Egypt. Regio Patalis therefore provides another probable link between Terra Australis Incognita and Atlantis. One should next look for ancient legends describing the expulsion of a group of people from ancient Egypt. Although not directly related to Egypt, the book of Genesis presents the story of Adam and Eve in the Garden of Eden, and their seduction by the Serpent65. This Serpent, who had the ability to speak and reason (like human beings), seduced Eve to eat from the Tree of Knowledge of Good and Evil, and she in turn convinced Adam to do the same. God then banished Adam and Eve from the Garden of Eden, and condemned the Serpent to crawl on its belly (implying that the Serpent had previously walked upright). That the Serpent in ancient times represented a race of human beings is further alluded to by Josephus’ account of this biblical story, in which God suggests that men should “direct their strokes against his (the Serpent’s) head, that being the place wherein lay his mischievous designs towards men.”66 In other words, it was recognised even back then that the brain was the origin of thought, as is the case for human beings. A particular Egyptian papyrus even shows a serpent with legs (the serpent Sata, Figure 32)67. 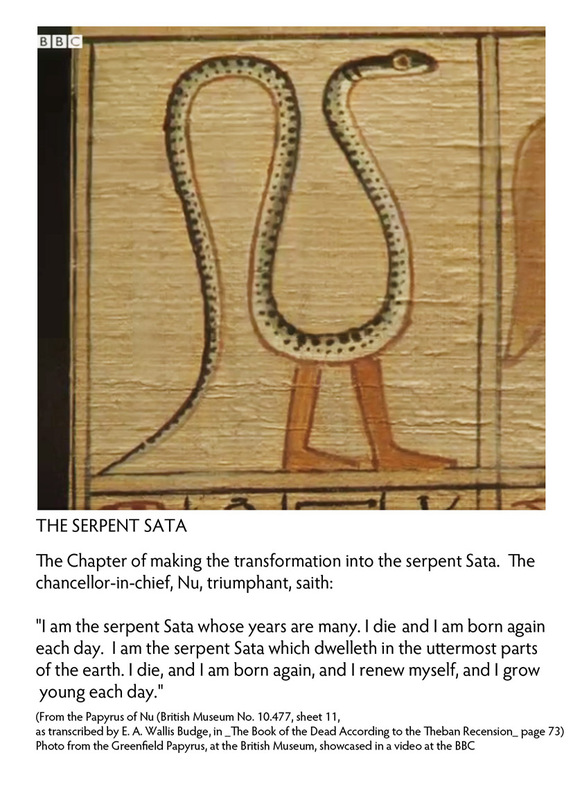 The story of the Serpent and the Tree of Life is not unique to the Bible, but also appears in ancient Egyptian legends. 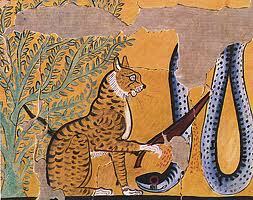 Here the Serpent is called Apophis, and his slaying by Bastet, the Egyptian cat goddess and goddess of warfare, is depicted on several reliefs (Figures 33 and 34). This country is a waste. Everything is in ruin and it is said that large snakes are found here. For this reason the Portuguese infidels did not land on these shores and these are also said to be very hot. A country that is in ruins matches the destruction of Atlantis, and the very hot shores may be related to the legends that the sky had fallen, that Noah had to hide from the fire in a cave, and that the sea boiled, as related above. Tierra del Fuego means “Land of Fire” in Spanish. The South American Noah’s fire? Does this not confirm that Terra Australis was destroyed by the impact of a comet? The “large snakes” are of particular interest. Numerous ancient legends refer to the exploits a race of serpents, specifically Quetzalcoatl, the Feathered Serpent73, of whom sculptures can be found all over Mesoamerica. That a huge war had erupted between the gods (the War of the Titans) is attested to in numerous Greek legends, and one of the depictions of this war shows the Greek god Zeus battling with and eventually defeating Typhon, a feathered serpent who has the upper body of a human being (Figure 35). According to Plato’s narrative about the Atlanteans, they attempted to take control of the Mediterranean world, but were defeated by the Greeks. So here we again have a suggestion of the defeat of a Serpent people, this time linked directly to the Atlantis legend. One of the peculiarities of the Muslim religion is the burka, which women are forced to wear in most orthodox Muslim countries. Women are required to hide their beauty from all men except their husbands75, with the obvious intent of not attracting male attention. Although this practice seems mainly to be based on the teachings of Muhammad, it is possible that it dates back to a deep-rooted Arab memory of an event that took place thousands of years ago. As shown above, the creation story actually relates how mankind re-emerged after the Great Flood of Noah (Section 5). The Bible states that God first created Adam, who was lonely, and which prompted God to create Eve for him as a companion. God forbid Adam and Eve to eat from the Tree of Life, but the Serpent convinced them to do so and Adam and Eve were banished from the Garden of Eden. The Egyptian papyri and reliefs depicting the Serpent being slain under the Tree of Life clearly, in one way or another, link Adam and Eve to ancient Egypt and its gods. Some traditions relate that Eve was Adam’s second wife after Lilith, who was created from the same dirt as Adam, but had returned to dust (Talmud). The Noahs who had fled their homeland must have taken mostly men from them, since they would have had to be strong enough to repel attacks by other survivors of the Flood. So, if Adam represented group of men who resettled in Egypt following the Great Flood, Lilith would have represented the women left behind on the motherland. Lilith was linked to darkness, which makes sense in terms of her staying behind or disappearing in the darkness that followed the impact of the comet. “Now this is the account of how the Igigi the daughters of the Earthlings abducted, … In a great number did the Igigi from Lahmu [certainly their lost motherland – we were never visited by aliens] to Earth [where the Egyptians and Arabs dwelled] come, only one third of them on Lahmu stayed, to Earth came two hundred [mostly men]. … “Enough of suffering and loneliness, of not offspring ever having!” was their slogan. …The daughters of the Earthlings, the Adapite Females as them they called, they saw and after them they lusted; and to each other the plotters said: “Come, let us choose wives from among the Adapite Females, and children beget!”. The serpent’s taking of wives from the natives seems to have been widely known, as for instance recorded in the Persian Bundahism, which tells the story of a pure couple who were seduced by Angra Mainyu (called the daevas in another source), a two-legged serpent, and the couple ended up worshipping their seducer78. That the ‘daughters of men’ married ‘serpents’ and bore them children (‘serpents’) must have been known all over the ancient world, as attested to by Pyrenees and Indian reliefs79 depicting a woman giving birth to and even suckling a serpent (Figure 36). In the context of Adam and Eve, Eve would then represent the women taken as wives from the local Arab population. The Adams who took the wives from the locals (‘they were lonely, i.e. did not have wives of their own) were also known as the Serpents (and Watchers, Giants and Nephilim), so if this is true, how did the Serpents manage to seduce Eve? And all the others together with them took unto themselves wives, and each chose for himself one, and they began to go in unto them and to defile themselves with them, and they taught them charms and enchantments, and the cutting of roots, and made them acquainted with plants. And they became pregnant, and they bare great giants, … Who consumed all the acquisitions of men. And when men could no longer sustain them, the giants turned against them and devoured mankind. And they began to sin against birds, and beasts, and reptiles, and fish and to devour one another's flesh, and drink the blood. Then the earth laid accusation against the lawless ones. That writing was viewed as an evil in the most ancient times is echoed in a telling passage in Plato’s Phaedrus, in which a ‘King of Thebes’ called Thamus expresses his deep concern to Hermes-Thoth. Thamus fears that by introducing ‘writing’, i.e. a means of recording things and events, men will no longer use their great and natural capacity of memory, and this will foster ‘forgetfulness and sloth’ and alienate men from the inner world which links them to God and to nature. This brings me to the possible link between the gods marrying the daughters of men, the Original Sin, and the Burka. In virtually all of the texts listed above, it is stated that the gods saw that the daughters of men were beautiful and married them. Eve’s sin (i.e. the Original Sin) was that she desired to be like god, or in other words, the Arab women aspired to become wives of the gods and most likely came to despise men from their own race. This obviously did not sit well with the native Arab men and when they were eventually, after thousands of years, able to expel the gods and their offspring from Egypt (Horus and his sons according to legend ruled Egypt until Menes united lower and upper Egypt), and all future Eves were forced to cover themselves from head to toe when in public, so that no man could ever again see their beauty and desire them. Hence the Burka. In the Bible the Garden of Eden or Paradise is depicted as a place with an abundance of trees, fruit trees and water, hardly consistent with the harsh desert that is Egypt today. The four rivers which supposedly ran through the Garden of Eden were the Tigris and Euphrates rivers, Pishon (the Ganges, according to Josephus) and the Gihon river, which transversed the land of Cush (ancient Nubia, which was also known as Kush in ancient Egypt and Ethiopia in Classical Greek), or according to Josephus, the Nile (see Figure 37). 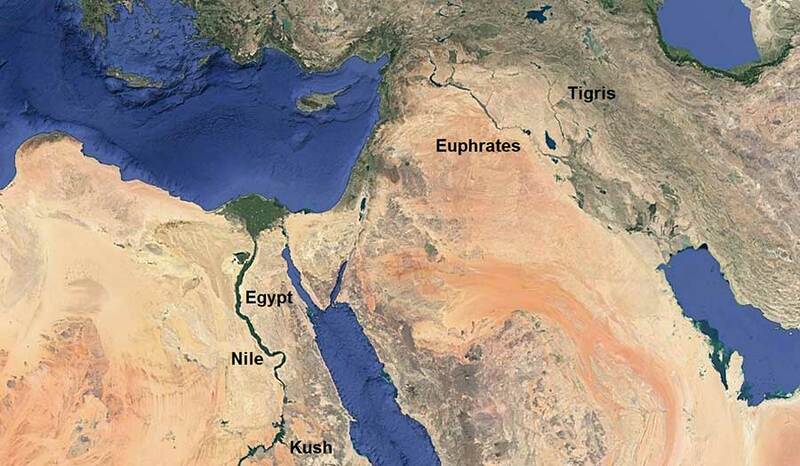 This implies that the entire region, from Egypt to the Tigris and possibly “all of Asia”, as far as the ancients knew, was once green with ample rainfall and associated plant life. That this was indeed the case is supported by evidence of a so-called Green Sahara, which existed 11,000 to 5,000 years ago, or roughly from 9,000 to 3,000 BCE. According to Plato and Solon, Atlantis disappeared under the ocean ca. 9,500 BCE, which is very close to this date. Further evidence is presented in my Ancient Enigmas and Anomalies section (The age of the Sphinx), which clearly shows the effect of thousands of years of rain erosion on the Sphinx (Figure 38 below). A number of ridiculous alternative theories for the weathering mechanism have been proposed to counter the inevitable conclusion that the Sphinx was not created by the Egyptians ca. 2500 BCE. The body of the Sphinx had been covered by sand for thousands of years (i.e. when the Sahara had already become dry and sandy), with only its head remaining visible above the sand. That the Sphinx is many thousands of years older than what orthodox Egyptologists believe is suggested by the fact that the head of the Sphinx had been recarved from the shapeless lump of rock that must have remained visible above the sand, following thousands of years of wind erosion. 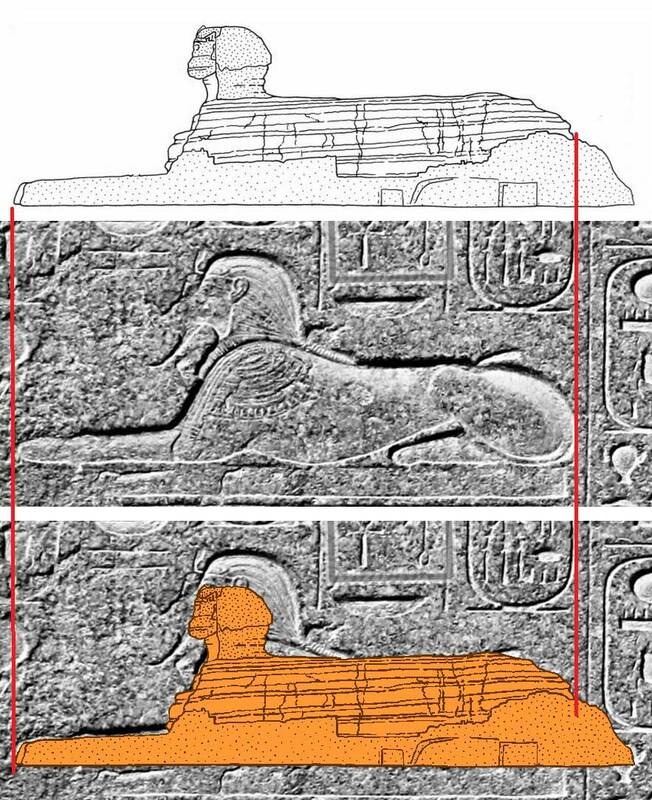 Figure 39 below (see also my Enigmas section) clearly demonstrates how small the size of the head of the Sphinx is, even as compared to the general shape of a Sphinx as indicated on the so-called Dream Stela between its legs (i.e. that was the Sphinx’s original shape), not to mention an actual lion. And then we have the absurd notion that the Great Pyramid was constructed as a tomb for a king. Really. With this very brief summary and a few perhaps haphazard references to a couple of ancient myths about the Jews, Serpents and Egyptian gods, I merely wish to pique the readers interest into this fascinating aspect of ancient history, the world of mythology. Were all these ancient legends nothing more than fantasies dreamt up by whomever? Are they not perhaps based on real events that occurred thousands of years ago? If so, what would that story be? I have to concede that there are some potential problems with my hypothesis that Terra Australis Incognita represented a real continent, the most important being ice core dating (have scientists ever considered a different interpretation of the ice core data? ), but also the mapping of the “solid” continent of Figure 1 onto the ocean floor, etc. However, but by the same token, there are other aspects of the maps of Terra Australis that closely match present-day geographical features of the Antarctic region. This certainly cannot be mere coincidence. For those skeptical about the existence of an ancient, highly advanced civilization, I would like to recommend reading my Ancient Enigmas and Anomalies section. Of these enigmas the greatest must certainly be stone monuments of Egypt (Figures 16-19) and elsewhere (Figures 20-27). Only people who have no grasp whatsoever of engineering could possibly imagine that the Great Pyramid was constructed as a tomb for a pharaoh. There can be no doubt whatsoever that the Great Pyramid had some unknown scientific purpose. Today we have simply no idea at all of how these ancients were able to construct these megalithic structures. Even the technology they appear to have used (Figures 28-40) is simply mindboggling for that era. Who were they, and why were their astonishing technological capabilities lost?